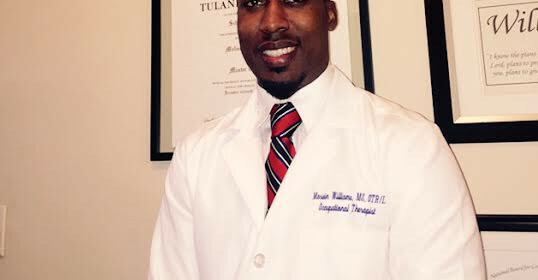 Marvin Williams, MS, OTR/L is a master’s level occupational therapist and graduate from University of South Alabama. With over 7 years of experience, Marvin specializes in orthopedic injuries involving the IPO extremities such as rotator- cuff tears, carpal tunnel, adhesive capsulitis, and distal extremity fractures as well. Since 2008, he has worked in a variety of physical rehabilitation settings including outpatient sports medicine, skilled nursing facilities, acute hospital rehab and school-based occupational therapy in the Jackson- Canton area. Currently, he is the owner of Smart Therapy LLC., currently providing physical and occupational therapy services to local school districts and behavioral health services to local residents in Canton-Jackson area.